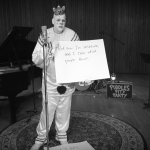 This remake came together quite quickly; Puddles stopped by unannounced, in typical Puddles fashion (he also surprised us at the Riviera Theatre in Chicago just recently! 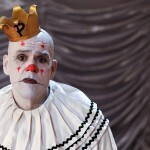 ), so I decided to give Haley a call to see if she was around to stop by, perhaps while wearing a fun hat. This arrangement was inspired by the tradition of vaudeville variety acts; the idea of putting a heavily contrasted duo onstage together has been around for ages and still lives on today. 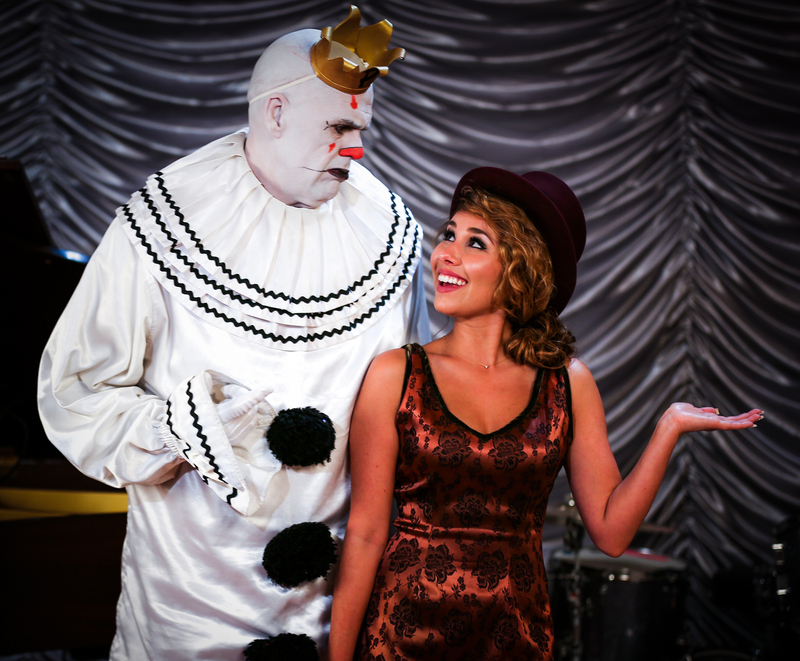 In this case, she’s a bubbly, extroverted performer, and he’s… a 7 foot tall sad clown. The contrast here couldn’t be any clearer, as Haley tries her best to shake Puddles out of his sad sack mood and embrace the existential whimsy of it all. She may have even taught him a few new dance steps in the process. I chose “Mad World” because it’s simply one of the darkest, gloomiest songs to ever become a hit, and certainly a song that would resonate with Puddles. Although it was originally penned by Tears For Fears in 1982, the somber Gary Jules cover from “Donnie Darko” is probably the most well-known version. 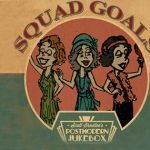 This site is going to be where new PMJ videos get released first; it’s about time that PMJ had a proper home, and I’m going to do my best to update this blog daily (or at least five days a week). I want this to feel like home to you, too, so feel free to add your comments here and/or visit the forum.